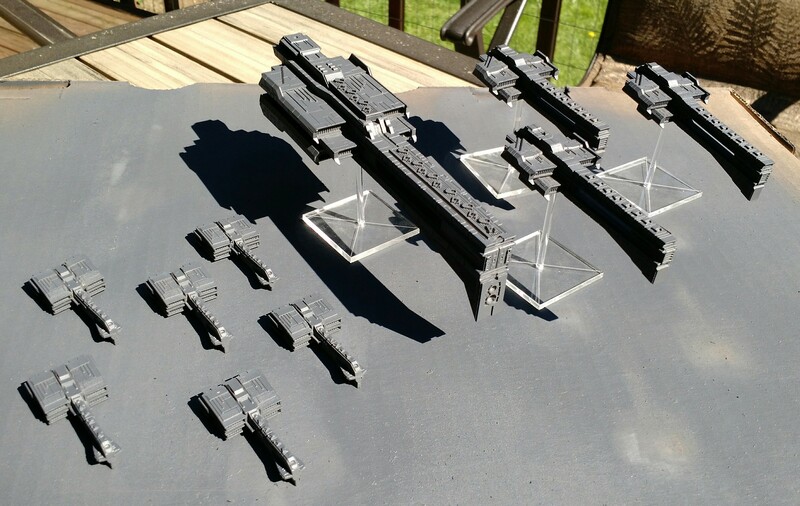 So I picked up some Firestorm Armada ship in trade recently and assembled and primed a Dindrenzi starter fleet. I’m excited to paint them for a change of pace. The plan is to do a gray and purple accent paint scheme on them.